Dahlia Nails: How Does Your Garden Grow? Whilst rifling through my wardrobe for inspiration - on the same day as coming across my cat shirt - I came across this pair of jeans. Yes they are lilac, floral, jeans! 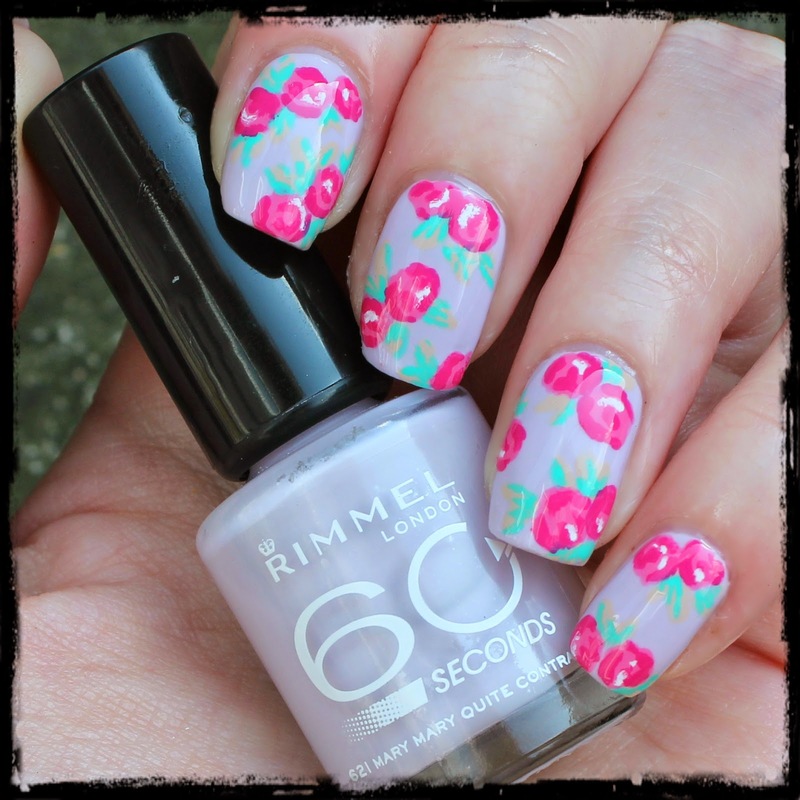 I love a floral mani and haven't done one in a while so thought that I would give this print a go. I used Rimmel's 'Mary Mary Quite Contrary' for the base. Jo and I both love this colour for nail art. 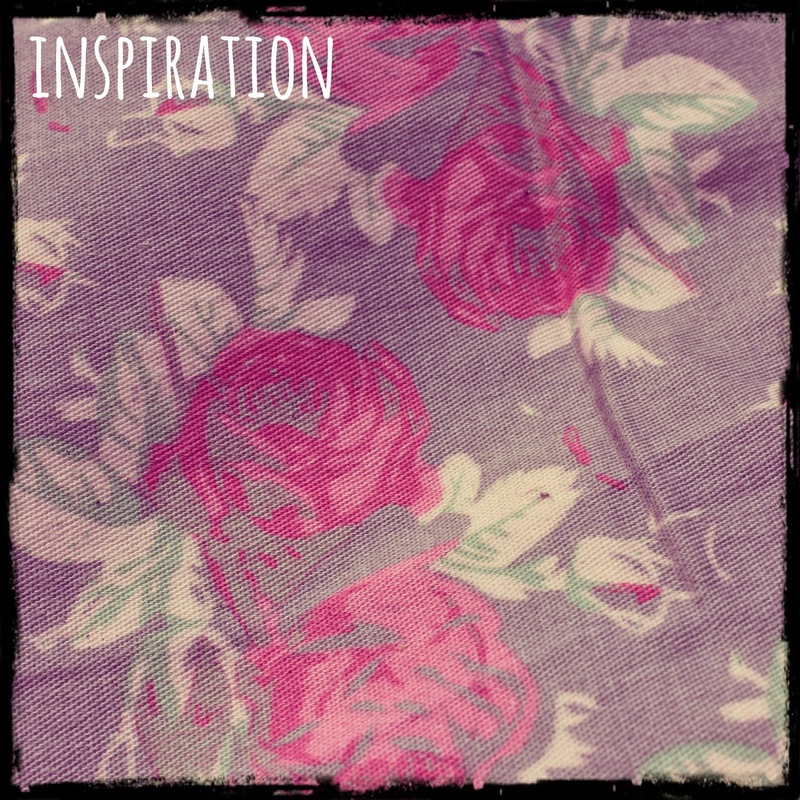 It's a pale lilac with a hint of grey which makes it nicely neutral with a girly hint. 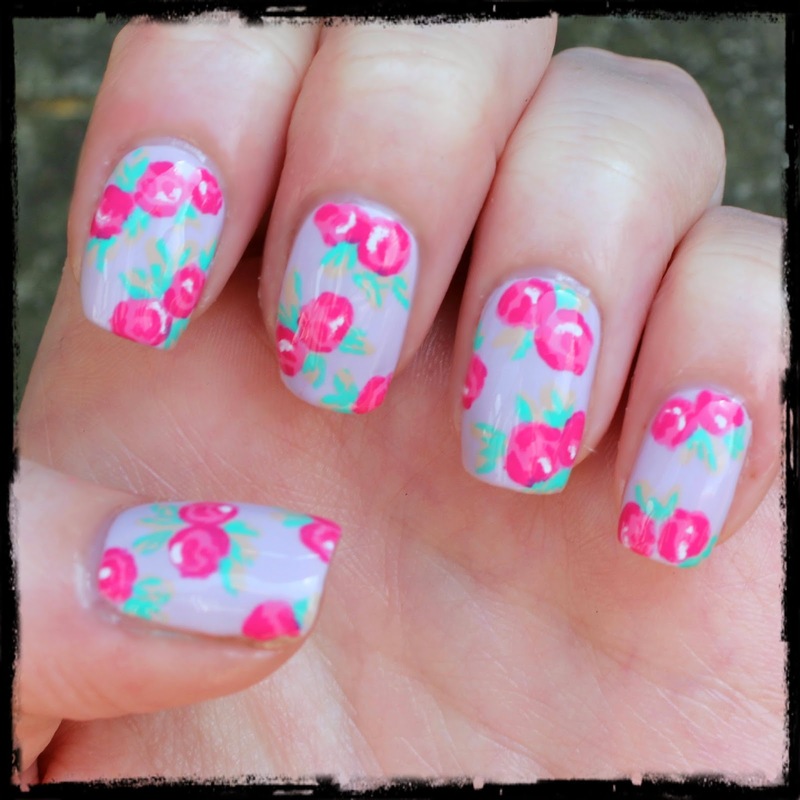 To create the flowers I used an array of Barry M shades: Bright Pink, Shocking Pink, Lychee, and Greenberry. I topped it all off with a little white highlight from my nail pen and a slick of Seche Vite. I spent some time in the garden last weekend to take advantage of the sunshine and plant some little flowers. Hopefully I will get some pretty petals like these growing!